As the owner of the Knifecenter I want to take a moment to acknowledge all of the people who gave the ultimate sacrifice for our country and our freedoms. Every picture of one of our fallen heroes makes me think about that life cut short, the remainder never to be lived and the people who must live without them. These heroes have earned my eternal gratitude and, at a minimum, my recognition especially on the one day a year that our country designates to them. We wouldn’t have our wonderful country with all of its opportunities and infrastructure that allows us to thrive and succeed and live in relative peace. May God bless our heroes and their families. These new Chaos models from Cold Steel Knives feel like the ultimate combat knives. Especially the double edged dagger, these are just awesome fighting tools. The handle is solid and threatening with a steel knuckle guard and a solid skull crusher on the rear end. 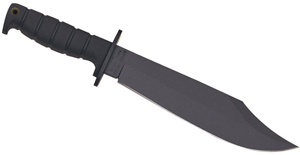 With that and the very solid grip and long blade, this could be the most effective fighting knife we have seen. A good flashlight is an invaluable tool, especially when you happen to have it with you at all times. With some of these new NITECORE designs, you’d be in the minority if you didn’t carry it with you everywhere you went. NITECORE is among the cutting edge brands when it comes to compact and tactical flashlights putting out crazy high lumens. Some would even argue they are the industry leader in that category and for good reason. The new Tiny Monster lights are the most compact designs on the market that have a maximum output over 2000 lumens. The Multi-Task series of lights are awesome, general/tactical use lights with all the features you need and are also available as Hybrid models that come with a USB charging cable and rechargeable batteries from the manufacturer. The Explorer and SENS series are EDC lights meant to be with you wherever you go and the Precise P25 model is among the best all-round lights on the market. You really can’t beat a good flashlight, check out the entire line of NITECORE products at www.knifecenter.com. The Barrage was Benchmade’s first ever AXIS lock model to incorporate an assisted opening mechanism and it’s continued to be a very popular design, even four years later. The model 581 was introduced in 2011 with the same specifications as the model 580 but with some nice material upgrades. 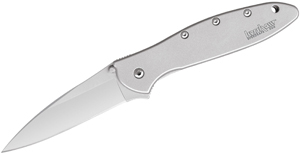 The FRN handle was changed to G10 with stainless steel bolsters and the blade steel was upgraded to M390 super steel, providing a much better using steel while losing little of the stainless qualities 154CM steel provides. 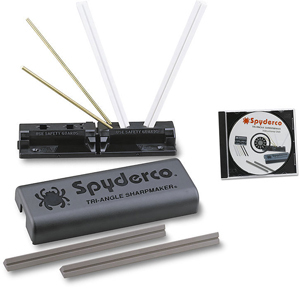 Now, in 2013 you can get the Mini Barrage with the same upgrades as the model 581 – the new 586. They’ve got 2.91″ drop point blades with either a nice stonewashed finish or the black BK2 coating. You can’t go wrong with any Benchmade design but if assisted openers are your thing, then the new model 586 is a superior EDC choice. Check it out at www.knifecenter.com.